Arnica is native to the mountainous regions of Europe where it can grow up to two feet high. It can also be found in Asia and North America where natives referred to arnica as 'mountain tobacco' and 'leopard's bane'. Arnica's orange-yellow flower heads supply a therapeutic volatile oil that contains fatty acids, aromatic terpenes, flavonoids and tannins. It is popular in Germany where more than a hundred medicinal preparations are made from the plant. 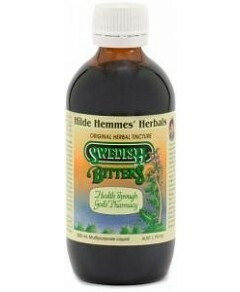 Medicinal Use: Rub Hilde Hemmes' Arnica cream into the affected area several times daily for the relief of: inflammation due to bruises, sprains, strains, contusions, insect bites and soft tissue trauma rheumatic muscle/joint complaints oedema (fluid retention) due to fracture/injury. Claims are based on traditional use in western herbal medicine. Active Ingredients: Contains tincture equivalent to Arnica montana flower dry 20 mg/g. Features / Benefits This product is listed on the Australian Register of Therapeutic Goods. Available in convenient, durable, tamper-evident tubes. Rapidly absorbed into the affected skin area. Water-based, non-greasy and gentle. Promotes the body's natural healing. Compatible with most skin types.